Based in Austin, Texas, Mystic Pharmaceuticals is a biotech company developing and commercializing creative, cutting-edge drug delivery solutions that are patient-focused, facilitating the treatment process so that drugs are more effective and patients get better quickly and completely. 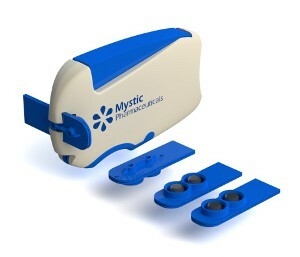 Mystic’s non-invasive delivery systems are taking on the most challenging and sometimes overlooked drug delivery problems in the world today, with custom-tailored devices and packaging concepts that are designed to meet the medical industry’s technical specifications and other market requirements, while also substantially increasing treatment efficacy — an outcome that empowers physicians and directly benefits patient health. Beginning with the notion that drug delivery solutions must be driven by ideas that ultimately benefit the patient, Mystic’s patient-centric approach to R&D is predicated on two major technology platforms that all products and solutions are built from. The company’s Drug Delivery Platforms — the VersiDoser® Delivery Platform and the VRx2™ Delivery Platform — are designed to advance drug delivery technologies to improve ease-of-use, patient adherence, and accurately measured doses are fully taken by patients on a consistent basis. Both the VersiDoser and VRx2 allow for the delivery of both liquid drugs and powders or reconstituted powders, respectively. In addition, Mystic’s Production Platform features the company’s Mystic VersiDoser Production (MVP™) unit dose manufacturing technology, which manufactures for its clients custom-dosed blister packs through a fully automated, form-fill-seal (FFS) production system scalable from 50,000 to one million dose-per-batch capacities that are safeguarded by closed barrier technology, sterilization and material handling techniques for aseptic processes. Visit Mystic’s Services and Facilities page for a complete overview of the company’s offerings. Mystic’s lead products for ophthalmic drug delivery applications are based on its VersiDoser® Ophthalmic Delivery Systems, which utilize a simple, ergonomic, patient-centric design that fosters self-administration, ease of use, and compliance among patients, as well as an effective means of treating patients that maximizes exposure to medication. Using the VersiDoser® platform, Mystic has developed for its clients custom ophthalmic delivery systems for packaging and dispensing therapeutics for a wide range of ocular treatments for glaucoma, macular degeneration, allergy, dry eye, anti-infective and anti-inflammatory indications. Visit Mystic Pharmaceuticals’ Ophthalmic Drug Delivery Methods page for more information on specific systems. Through the development of both the VersiDoser® and VRx2™ precision metered dose intranasal delivery systems, Mystic Pharmaceuticals features an effective, non-invasive drug and biologic delivery system that leverages the nasal route — an increasingly viable option for treating a wide range of disease and disorders related to the brain. From pain management, migraine crisis, and hormone replacement, to the treatment of seizures, emesis, anxiety/depression, hypoglycemia/diabetes, growth deficiency, proteins and peptides, vaccines, immunomodulators and biomedical countermeasures, Mystic’s nasal delivery applications can accommodate a wide range of pharmaceutical, bio-pharmaceutical, and biologics-related applications. Mystic’s intranasal delivery systems offer an efficient, user-friendly design by way of novel unit dose blister technology. Because the blister pack can be precisely sized and calibrated to the exact, needed dose in both powder or liquid form, the patient can quickly and easily self-administer medication, ensuring that the maximum amount of the dose is taken. The blister dose technology also offers a flexible, wide-ranging design that can administer a dosing volume across a range of 25 to 150 μl. Additionally, Mystic’s VRx2™ powder delivery systems offer an innovative design that is able to either auto-reconstitute a powdered treatment or medication into liquid form within the device, or dispense a packaged powder in powder form, all without the need for an external motive force such as compressed gas. The VRx2 can also auto-recombine two separately packaged liquids at the time of self-administration, making the system incredibly user-friendly while also optimizing medications that must be reconstituted only at dosing times. Best of all, Mystic’s VersiDoser® and VRx2™ nasal delivery devices feature a precise, individually packaged dose, which can be pre-loaded either directly into a simple-to-use drug delivery device or loaded into a device by way of a disposable cartridge. 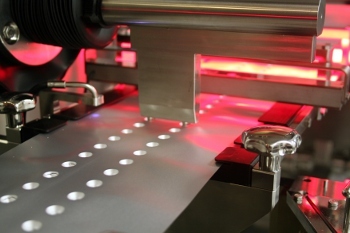 And while the engineered multi-layered aluminum foil laminates are durable and ensure that medications and treatments will remain intact, the material also offers an exceptionally reliable barrier against oxygen, water vapor, light transmission and microbial contamination, ensuring that they remain stable and sterile in a wide range of storage conditions. VersiDoser® and VRx2™ nasal delivery devices are available in several different configurations including mono-dose (disposable), bi-dose (disposable), and multi-dose (reloadable). Visit Mystic Pharmaceuticals’ Intranasal Delivery Solutions page for more information. Safety, compliance, and therapeutic benefits. Competitive differentiation and expansion of market leadership for prescription or consumer healthcare products. As a result of these benefits, medicine becomes more effective and easier to apply with less waste, making Mystic Pharmaceutical’s patient-focused approach to product design a solution for the unmet needs of the drug delivery segment in biotech.